Chandler Lawson, the current Miss Tennessee and a student at UTC, plans to attend the College of Law at the University of Tennessee at Knoxville. • What time: 9-11 p.m.
• Where: Las Vegas, Nev.
• Family: Parents, Dan and Karen Lawson, brothers, Matt and Miles Lawson. When Miss Tennessee 1997 Lanna Keck visited a second-grade class in Tullahoma, Tenn., and placed her crown on Chandler Lawson's head, she did more than make a little girl's day. Now 22, Lawson says Keck's gesture set her on a path that led to earning the Miss Tennessee title for herself on June 23 in Jackson, Tenn.
"She made such an impact on me that I remember that 15 years later, understanding that impact that the crown makes to encourage young men and young women to pursue those dreams and set goals and work hard to achieve them," Lawson says. Lawson left Wednesday to fly to Las Vegas, where she will spend about a week preparing to represent the Volunteer State in this year's Miss America Pageant on Jan. 12. With barely a hint of a Southern drawl, Lawson responds to questions during a phone interview with a ready laugh and a practiced ease born of months spent in mock interviews as part of her preparation for the national competition. Although she grew up watching Miss America on TV, Lawson says her own interest in competing didn't bloom until later in life. In fact, she says, her first event nearly soured her on the pageant experience. "I was one of those girls who my mom yanked me out of the mud at 13 and said she wanted to put me in a pageant," Lawson says, laughing. "I'm sure I placed last of the girls who competed, and I told my mom I would never do a pageant ever again." Eventually, she returned to the fold of her own accord when she was 19 and a freshman at the University of Tennessee at Chattanooga, winning her first competition as Miss Scenic City. She went on to finish in the top 10 of the Miss Tennessee Pageant that year. In 2011, she was named Miss Chattanooga and finished as first runner-up for Miss Tennessee. This year, she won Miss Chattanooga once again and returned to Miss Tennessee, this time emerging victorious. "I [was] absolutely overwhelmed by the feeling that all those years had culminated to that one moment and it came true," she says. "That was so incredibly special and so surreal to look back on, almost like an out-of-body experience." Having had so much experience at lower levels of the pageant circuit, Lawson says she feels at the top of her game going into Miss America. 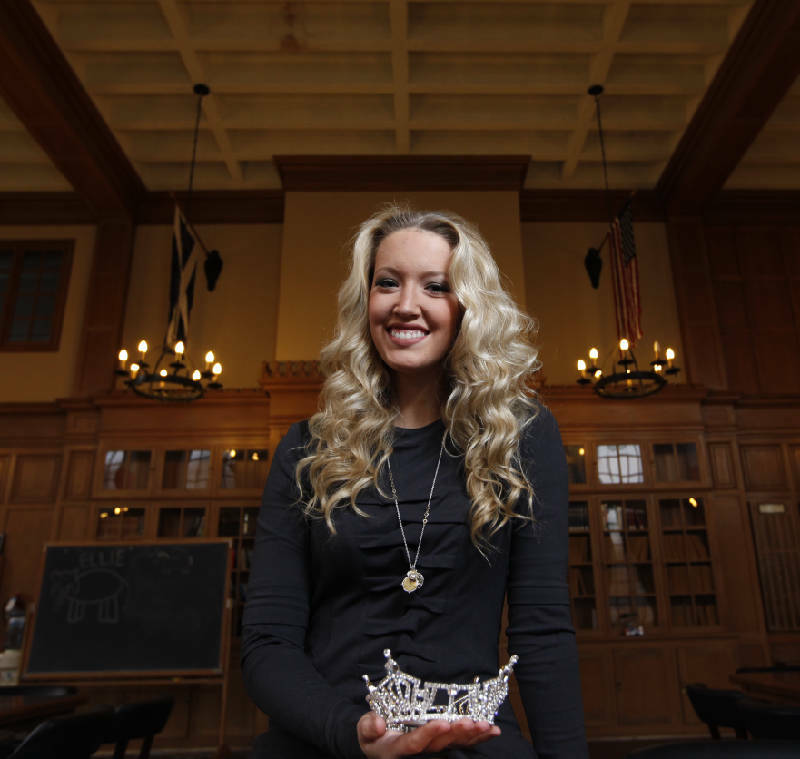 In addition to working in support of her platform to end childhood hunger, Lawson has spent the past six months prepping for the national competition with the help of a group of advisers and coaches she laughingly dubs "Team Miss Tennessee." Miss Tennessee business manager and past winner Allison DeMarcus is helping Lawson hone her presentation in preparation for Miss America. The competition also will test Lawson's artistic talent as a singer, her skills at being interviewed and her gracefulness while modeling evening wear and swimsuits. Lawson says the latter category has probably been the most worrisome and has been especially trying during the holidays. "It's hard to stay on that train ... when you want to have all the cake and cookies," she laughs. "At the time when people are splurging, that's when I had to be the most diligent in my lifestyle, as far as fitness goes." Nevertheless, DeMarcus says she believes Lawson is more than ready to do Tennessee proud. "Chandler's greatest strengths are that she is an intelligent and well-rounded woman," DeMarcus says. "She has great presence, and I know she is going to do well on that stage because she is incredibly prepared." If she isn't named Miss America, Lawson says she will be excited to turn her focus fully to her duties as Miss Tennessee, a title she will retain until the next winner is crowned in June. After that, she plans to take advantage of her deferred enrollment to the College of Law at the University of Tennessee at Knoxville. Contingencies aside, Lawson says she remains confident of her chances and would be happy to accept the crown as an unofficial present for her 23rd birthday, which also falls on Jan. 12. "How cool would it be to ... call it, informally, my 23rd birthday party?" she asks. "It would be a totally humbling experience and one I know would be so amazing and worth every bit of separation and every ounce of want and desire to have this job."